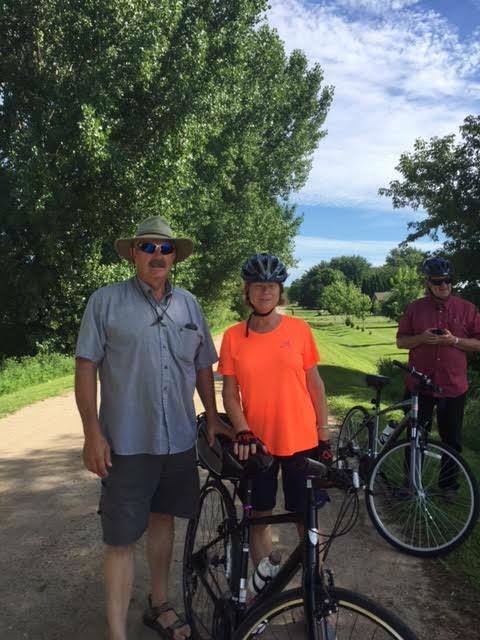 The community is passionate about expanding our current bike and walking trails around the city! March 2017: The Trails committee along with The City of Fairmont are applying for a grant to expand the loop at Cedar Creek Park! city has successfully secured $407,000 in funding for our trails! 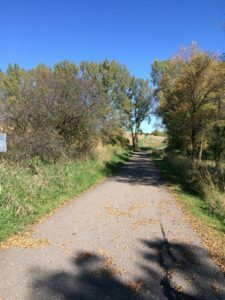 The funding will be provided by the Federal Transportation Alternatives Program (TAP)and will be used to pay for nearly 60% of the $715,000 cost to construct a new multi-use trail from 10th Street by the Knights of Columbus north to the hotels and restaurants at the I90 and TH 15 intersection. The trail will follow the old railroad alignment and will also connect to the new Winnebago Avenue Sports Complex at Margaret Street. The funding program won’t make the funds available until 2019, so in the meantime the City will be cleaning up and preparing the area for some pedestrian and bicycle use yet this summer. January 2016- Funding request for the 10th street to the Holiday Inn is proceeding into phase 2, which is the formal application that was submitted January 9th. SHIP has also preliminary approved a small grand to be used for the project. The committee has been working on gathering and submitting information for proposed trails. Project 1590 has recently met with Region 9 for strategic planning. The trails committee is currently working on trail options, grants, and funding. Fairmont City Council has also approved to move forward with supporting the Multi-Purpose trail system. Details in this article from the Fairmont Sentinel. Friday October 16, 2015: Members of the 1590 steering committee, committee chairs, and members of Project 1590 Board met with Senator Julie Rosen and Representative Bob Gunther. The purpose of that meeting was twofold; (a) to Provide information to our officials regarding the projects 1590 has gathered from the community wide survey and (b) to ask for the Senator and Representative for their help as there projects move forward (specifically with the funding and grants). The Trails project was presented by Wes Brown, Chair of the 1590 Trails Committee. Wes provide detailed maps proposed for walking and biking trails. Some for connecting existing trails within the city and secondly to build regional trails that would connect with trails to Sherburn, Jackson, and the Okoboji area and also to connect with a trail in Watonwan county. Information was provided on grants that would be available for these regional trails. The city has allocated funds for some trails within the city within the 2016 budget. If you would like more information or would like to join in the effort, contact Wes Brown at wesbr@bolton-menk.com or Troy Nemmers, City Engineer. Check facebook and twitter on upcoming events to support this group. If you would like to get involved, please contact Committee members or contact 1590.